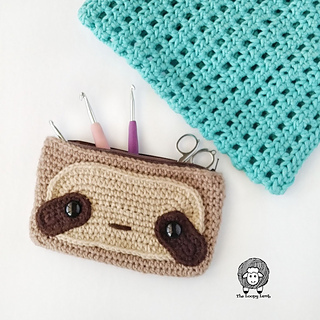 This sloth hook case is a quick and cute project that is accessible for beginners. 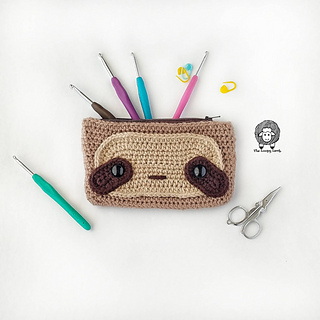 It can be used as a hooke case, a clutch, pencil case or make up bag. The finished case is approximately 4.75 inches tall x 8 inches wide. An ad-free PDF can be purchased for a tiny fee HERE.